Picture this scenario, I take all the money that is in your pocket, you would probably feel and maybe be furious that I have taken all your money. In other words, you would feel like you have lost something. But what if I took 70% of the money that is in your pocket, would you still feel like you have lost something or feel like you have ‘won’ the remaining 30%? And what if I managed to convince you that you have actually ‘won’ in this case by putting on some happy music laced with fire cracking sounds? It is this kind of notion that has compelled Australian law firm, Maurice Blackburn to propose a legal action suit against poker machine operators. The suit claims that the people operating the machines are deceiving and misleading clueless gamblers into continually using their machines despite the fact that they are ‘losing’. Section 18 of Australian consumer law prohibits deceptive and misleading conduct. The key way to assess this is to determine whether said conduct is indeed deceptive and misleading bearing in mind all circumstances surrounding said conduct. To test out this theory, you need to identify both the targeted consumer and the conduct. And in this scenario the targeted consumers are the gamblers or more specifically armature gamblers or the more addicted gamblers. Maurice Blackburn has also identified the misleading conduct in this case which is a technique that has been dubbed ‘losses disguised as wins’. This is a situation whereby the poker player bets on many lines and even a minor win on any one of those lines set off a chorus of happy music and images that indicate a ‘win’ when in actual sense the player has lost more than he or she has won. The beauty of consumer law is that it employs common sense to answer most of the questions. One such common sense question that would be brought up in court is; If there is a minor win and the poker machine responds with chiming music and flashing graphics indicating a win, would an average amateur gambler regard this as a win despite the fact that they have actually lost money? In further support of this suit, close attention to detail by the poker player and in turn realizing their error the judgment doesn’t apply in this case. Why? Well because humans are known to behave irrationally and most times we tend to make decision based on the opinions that we form around a particular conduct be it good or bad in actual reality. So, in this case for instance, Maurice Blackburn could argue that armature gamblers are distracted by the flashy graphics and happy music so much so that they pay less attention to their credit. Other cases that have been argued out in court using the same idea include the TPG Internet case of 2013. The court found TPG guilty of misleading its consumers by putting up an advert which offered unlimited ADLS2+ for meager price of $29.95 when in actual sense this offer was only available to clients who had a bundle broadband and a home phone service. TPG had included this detail in their advert but it was displayed less prominently compared to the flashy deal. 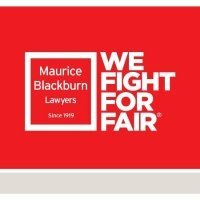 So how does Maurice Blackburn plan to argue out the losses disguised as win technique in court? Well, their argument might revolve around recent Canadian research which revealed that the music and accompanying flashy images displayed on poker machines often trigger the same arousal levels in armature gamblers as actual wins and it’s no secret that arousal is central in nourishing gambling behavior.